Why did you come to China. This is the question I get asked more than any other. And it’s a heavy one. Everytime I’m asked this, I smile, take a pause and try to think of an answer. The thing is there is NO one answer to this question. But I as I write this blog I hope to convey that coming to China is the best thing I’ve ever done. Now this will appear to be nothing but a pro-China propaganda blog with the aim of getting you out here working. There are a LOT of negatives about working and living in China too, but I will cover those in another blog post at another time. 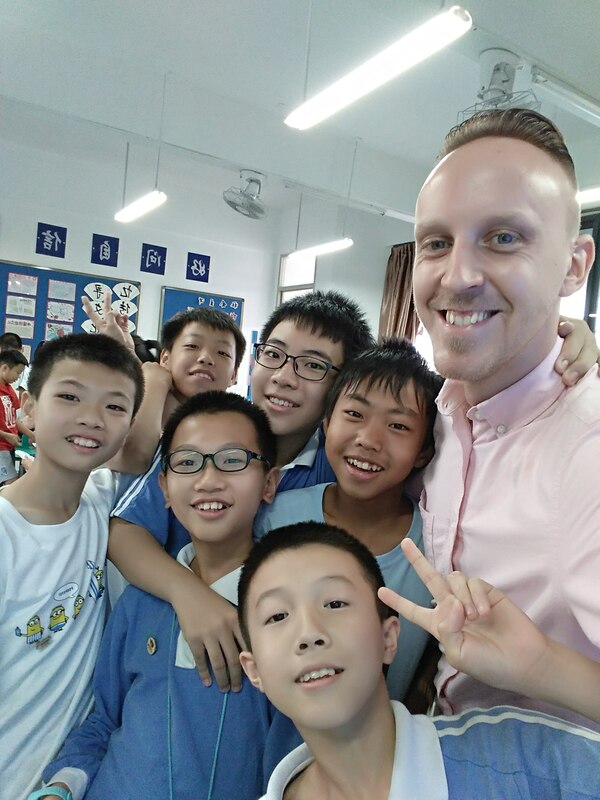 Since this is all about how teaching ESL in China has changed my life for the better, it kid of makes sense for it to be positive. And I must say that teaching in China is not for everyone, and many people I’ve met along the way did not really like it very much. But I guess the same can be said for anywhere right? Every place on earth has good and bad points about it and it comes down to your individual personality and character. But of course it’s not that easy. A TEFL was needed. Tefl.org.uk helped me. I found the one suitable for me and dove in. Learning a lot and putting my fears at ease I became more confident that I could handle it. The biggest hurdle was the myriad of information available online. Some positive some negative a lot of it contradictory I was perplexed. There were SO many jobs online too. Had no idea which ones were too good to be true and which ones were downright awful. 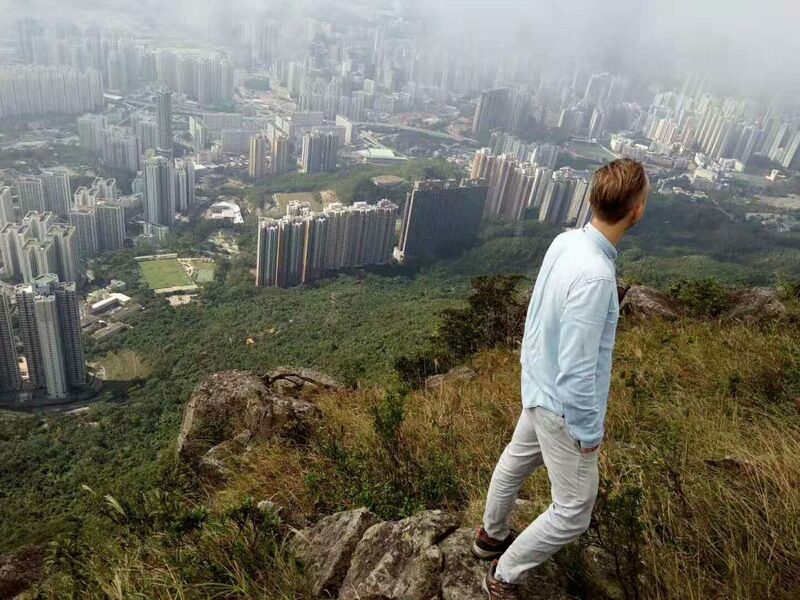 Finally I selected my city (Shenzhen) and found an agency (not the one who initially emailed me) it was time to tell family and friends and start planning ahead! I can tell you now that no matter how much research you do, who you talk to, what you read. Whatever it is, you will not be prepared enough. I know I wasn’t. So my advice is don’t worry, it’s normal to be under prepared and overwhelmed. That’s part of the journey. Compared to my small hometown in Wales, Shenzhen was an absolute madhouse. The first thing that hit me was the stifling humidity in the summer (this was September and still very hot ). The next thing was the noise level. Thought my eardrums were going to explode. And then finally just how busy it was, people mountain people sea is an expression here and it’s pretty apt. Truthfully I was very overwhelmed and out of my depth and couldn’t really absorb it all. The first few days were a whirlwind of paperwork and information, meetings and advice. Non of which I really absorbed due to the fact I was still bewildered by the alien city around me. But as the days turned to weeks I gradually adapted. Now there’s no doubt about it, public schools in China are far different to the UK and probably to whichever country whomever is reading this is from. Training centres and international schools are an option, but for this blog it’ll just be about public schools. 50+ kids in a class, desks crammed together you can hardly walk around, kids going crazy when you enter the room. It can be very daunting, thankfully my TEFL course was a big help and I was able to think back to some of the things I learned. My chinese colleagues were also a big help. Patient and knowledgeable, they helped my find a happy medium between my personality style and the routine the children knew. Big piece of advice I would give is seek help from your school. Don’t be afraid to ask, they know the classes and know the education system. Their advice is invaluable. Too many foreign teachers try to ignore this and ‘do their own thing’. Remember this isn’t the West, things work differently here. Slowly but surely I improved and become more confident. Since I arrived here over 3 years ago I’ve done so many different types of ESL teaching. My standard work is in public schools. I started off in primary school teaching grade 1-3 then onto grades 4-6 and now finally I’m teaching grades 7/8. Each one has its pros and cons, and it will vary wildly depending on class, school even city. So anything I say will be general and not applicable to everyone. I’ve found that the English is better as the students get older, but also the eagerness gets worse. So grade 1 will always want to talk and engage, but have basic English. While grade 8 will be able to have a good conversation and give insightful opinions, but be reluctant to volunteer and answer. I much prefer teenagers, I am able to engage them better and have long discussions about relevant topics to them. I don’t have a suitable personality for younger kids. Too much singing dancing and game playing. Exhausting! During my time in China I’ve done all sorts of teaching. The weirdest and most memorable would be the shopping mall open classes. Nothing like entertaining a bunch of kids with their grandparents and other random people passing by whipping their phones out and filming you. Quite surreal. It’s something I perhaps couldn’t have dealt with in my 1st year but most certainly it’s just water off a ducks back now. And it’s makes for a funny story! There’s abundant teaching opportunities, from 1 on 1 conversation, to adult IELTS, homework help and phonics. If you’re willing to be professional and hardworking then the chances to grow and improve in ESL are there for you. 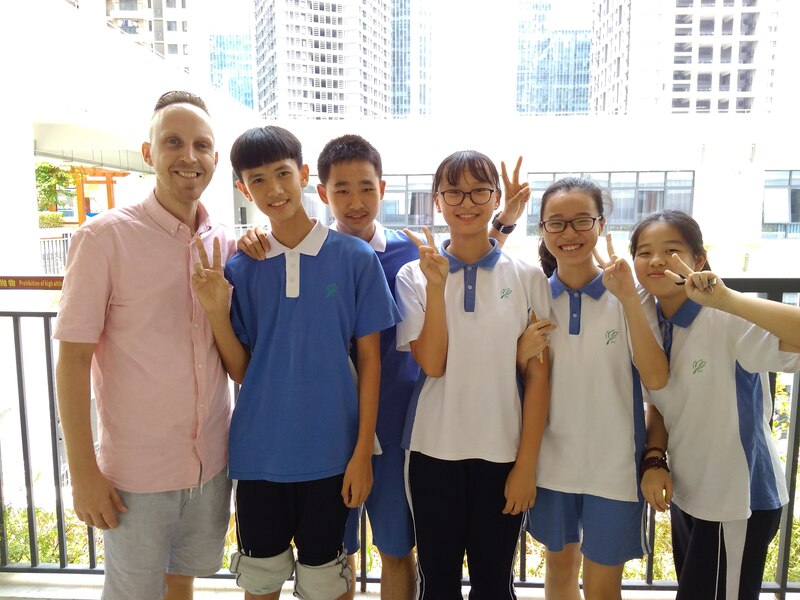 How has teaching in China changed me? This one is easy to answer. I’m now completely happy in my life. I live a far healthier lifestyle. Lots of walking and outdoor activities, not to mention how much healthier the food is. Shenzhen is a green city. So many parks, mountains and natural spaces that you will want to be outside as much as you can. I’m far more confident than I used to be, now I can deliver effective and fun classes. Im able to adapt to situations and to know what I need to do in each situation, I feel confident about the future and happy in my life. I’m definitely more relaxed than I used to be. I’ve been exposed to so many different and alien situations that now I can just ‘roll with the punches’ and deal with it. I’ve realized that the world is big and life is short, my petty little problems don’t matter in the grand scheme of things and that life should be lived and enjoyed. All experiences, both good and bad can add to our character. And boy oh boy is China a character builder. One of, if not the biggest benefit of teaching in China is the holidays. There is so much time for travel that its almost unbelievable. With a long winter vacation (4/5 weeks FULLY PAID) the opportunity for travel is ample. I usually go somewhere hot and sunny during this time, I’ve not experienced a winter for over 3 years! And as China is a great location geographically you can fly to many Asian countries no problem at all. South Korea, Cambodia, Myanmar, Vietnam, Philippines, Malaysia are just some of the countries I’ve traveled to during my time in China. The summer vacation is even longer (8 weeks or so), prefect for longer distance travel or if you wanted to go back to your home countries. I’ve hiked the Great Wall, seen sunrise at Angkor Wat, been to the majestic national parks of Malaysia, sampled the street food in Myeongdong in SK. The options are vast and all it comes down to is your preference. Domestic travel is also very easy. China is a vast diverse country, and each province is different to the last. The high speed train network is pretty much flawless, zipping along at 300+ KPH in a comfortable seat is quite some experience. I’ve visited places in China that would in the past have been quite a chore to get to, now its as easy as 123. Each city also has an airport, although I must say I’m not a fan of domestic flying in China (more to come on that in another post). So that’s my story so far in a nutshell. Any thoughts, questions or comments please leave below.